Meet Princess Addie and her Unicorn. 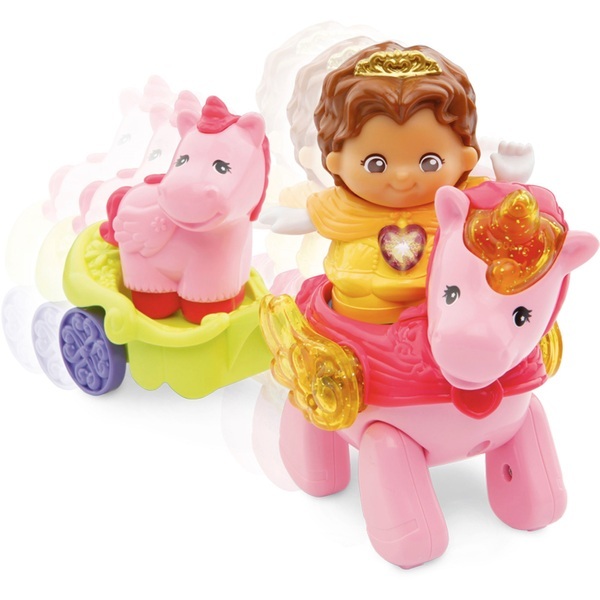 Press Addie's light-up button and she will introduce herself, share the things she likes to do and sing songs. Place on her Unicorn to see it trot along and attach the included carriage with the baby unicorn to the back for additional fun play.